A travel in the history of Greek Extra Virgin Olive Oil. Greece has a long tradition in the production of qualitative Extra Virgin Olive Oil. 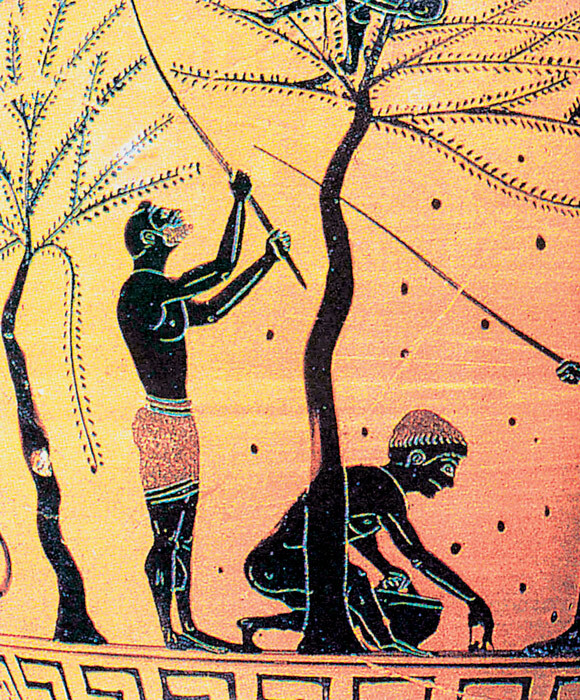 In fact, the first recorded cultivation of olive trees worldwide took place in Greece, in the area of Create on 3500BC. The reputation of the olive oil was rapidly expanded all over Greece and it became synonym to the Greek diet. Today, valuable information about the ancient production of the olive oil can be found in records discovered in the palaces of Mycenae and Pylos. The olive oil was not only a valuable ingredient of the Greek diet, but also an important element of several medicines. Several philosophers, physicians and historians mentioned its unique therapeutic properties, while several botanical classifications where made in order for ancient scientists to take the most out of the curative properties of the olive oil. In the last decade several scientist have started to re-explore these elements in order to further explore why the Mediterranean diet is so healthy and beneficial. The olive tree also had a notable symbolic meaning in ancient times since it was apparent in several sectors of the everyday life. A characteristic example is the Olympic Games, where the prize for the winner was an olive tree branch symbol of armistice, hostility and peace.